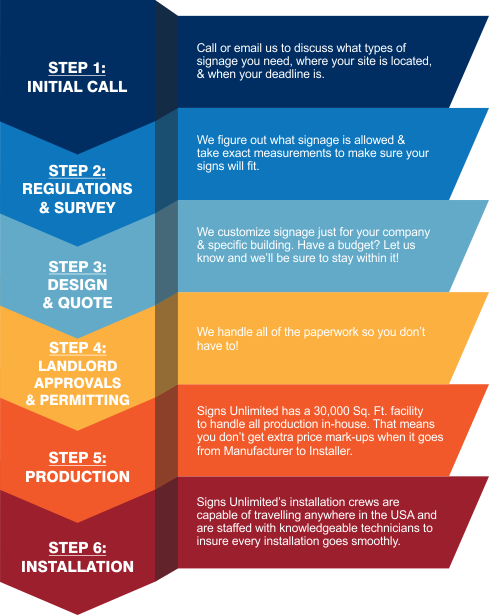 Whether this is your first business location, or you’re moving to a new facility, you need signage. You may have the most amazing product in the world, but no one will know you’re there unless they can find you. This is where Signs Unlimited steps in. 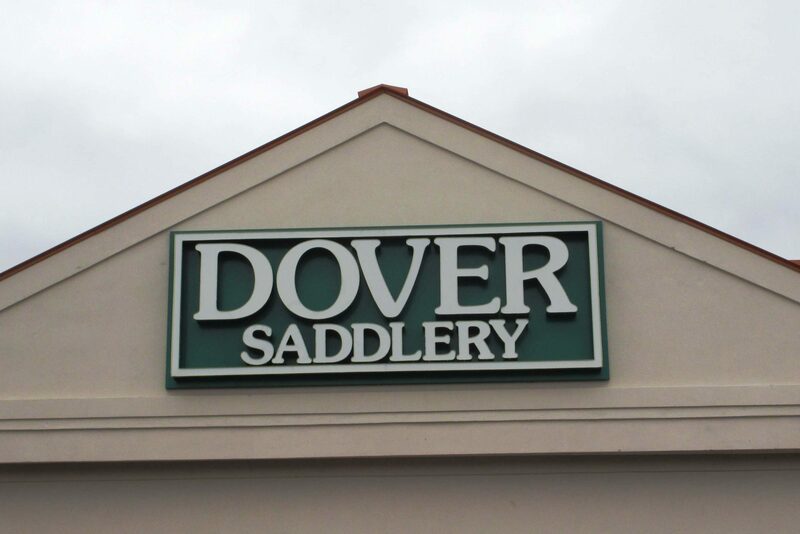 We take the time to customize your logo into a producible sign that makes a store owner proud to come to work every day. From the beginning of your initial call, you will have a dedicated contact for your project from beginning to completion. All we need is an address, a deadline, and a budget and we’ll take it from there! You have enough to worry about when opening a business, so let us worry about your signage needs for you. Our team will contact the city/county/township/etc. to sort out exactly what types and size of signage you are allowed so you will never see something that can’t be done. Beyond this, we will even contact your landlord for their approvals and regulations to produce a design that is permittable and fits your building perfectly. Once a design is nailed down, our team will also handle the paperwork for you, so your sign is permitted, inspected, and finalized to keep those bad surprises from popping up and disrupting your future business. Will be open for business starting February 2, 2019. The idPortal is a private, secure Website that enables you to order and customize products. Upon approval, the user can add it to the site’s shopping cart, check out, and it is ordered.